Ingersoll Cutting Tools’ Typhoon utilizes unique high-speed compact spindles to leverage your original machines coolant supply to upgrade performance. 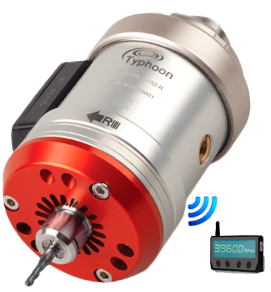 If you are looking to extend the life of your original machine while increasing production, the Typhoon is a great solution. It can be used for a variety of applications which including milling, thread milling, drilling, grinding, chamfering and engraving. An innovative machine, it will help reduce costs and improve efficiency for your production line. And when buying from Rotem, you can rest easy knowing you’re getting quality products at competitive pricing.